Children’s Wish Foundation, Manitoba & Nunavut Chapter, reached yet another milestone when they received a record single corporate donation to end the 2018 calendar year. 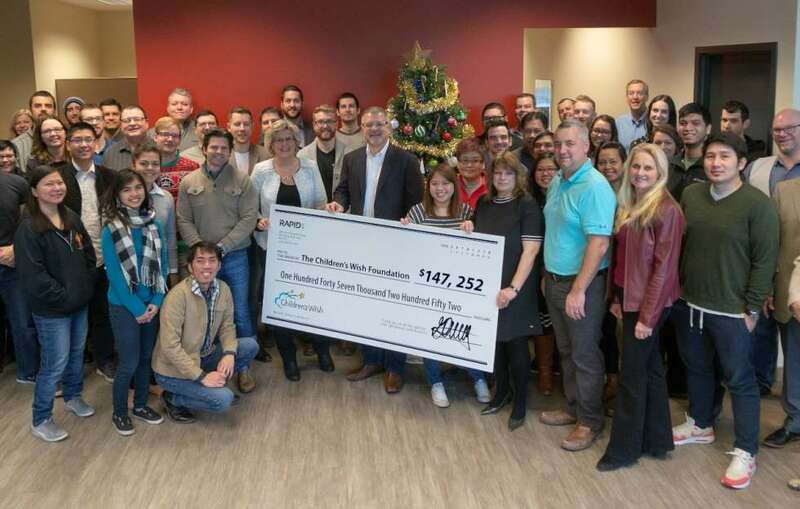 The charitable gift was inspired by a staff-driven campaign called “Payroll for the Needy” at RAPID RTC, part of the DMT Group of companies, a global software provider headquartered in Winnipeg. The donation is not only the largest for this chapter of Children’s Wish, but also the largest for RAPID RTC in their 5 years working with Children’s Wish.